Happy Friday loves! 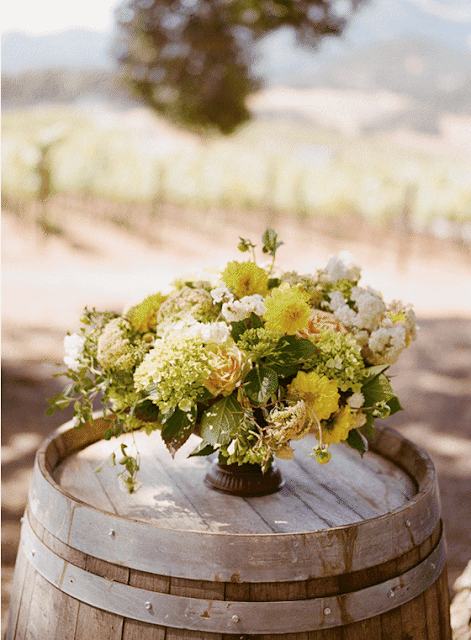 Today I'm here to share a few of my favorites from around the wedding world plus a little bit of sunshine yellow to brighten up your day. Because I don't about you, but I just love these bright and cheery blooms! Here's just a few of my favorites that popped up in the world of weddings and parties this week. National Donut Day was this past week so here's 15 ways to use donuts in your wedding! I can't get over this Gorgeous California Wedding via Snippet and Ink. Oh, and how insanely pretty is this Fall floral design via Style Me Pretty? So super pretty, if you ask me! Want to know what sales are going on this weekend? Don't miss the BHLDN sale selection. Always filled with amazingly gorgeous items!